Though the slow pace in the beginning of the story had me worried, once I was a few chapters in the story really started to capture my attention. Even though I wasn't Maggie or Joel's biggest fan, they both grew on me pretty quickly. And the set-up is incredibly intriguing. I love magic of any form, and this was no exception. I haven't read any other book by this author, but after reading Blackheath, I plan to change that! Maggie was dumped at her boarding school by her parents, and that is where she lives year round. She doesn't seem to mind too much, most of the time, and thankfully she has her friends. Joel and his family are moving back to town, into a dump of a house that was given to his brother for being the Chosen One. Joel and his family are witches, and the townspeople know it. They either love the family, or fear them for it. Mostly fear. Maggie and Joel used to be friends until they both grew up, but now they can't stand each other. Until Maggie finds herself in a situation and Joel is the only person she can turn to for help. The witchery in Blackheath was definitely my favorite part but I genuinely enjoyed the dynamic relationships, too. Both were complex, and made up the meat of the story. Maggie an Joel's relationship started happening pretty quickly, but it was easily explained because of their history. I didn't mind too much this time! Joel and his family also had an incredibly dynamic relationship that fluctuated from frustration to anger to jealousy, but the love they felt for each other was easy to see. Gabriella Lepora is a brilliant writer. With the exception of the slow beginning, she managed to completely draw me in to this unique and wonderfully written world. 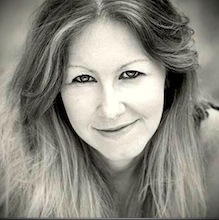 She is a master of characters and their various relationships, and her take on magic was definitely interesting. 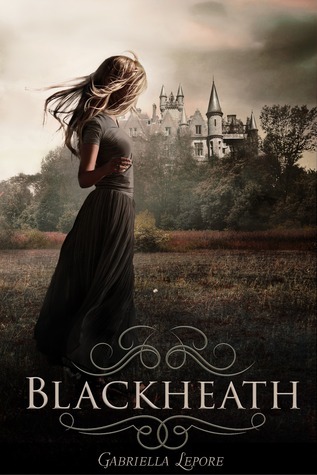 Full of mystery, charm and humor, Blackheath went from a story I was unsure about, to one I hated putting down. I would definitely recommend that you head on over to Amazon and check it out. $3 for the Kindle copy is well worth the investment! Great review, Jaime! This sounds like a must read especially for me who loves witch books! I like how character driven it sounds, and the relationships seem well written and genuine! Nice review - my daughter would love this! The blurb is fantastic. I can't wait to read this book.